This will be a three-hour clinic introducing the use of PTC Creo Parametric for FTC teams. The first part of the clinic will focus on assemblies in PTC Creo using the TETRIX parts libraries. The second part of the clinic will cover 3D modeling in Creo, leading up to designing custom parts and an intro to 3D printing. Because of limited space, we’re asking teams to preregister for this event and to limit attendance to six people per team (coaches and/or team members). If we determine more space will be available, we will send out an announcement to registered teams and update this page. The event will be held in the Science Learning Center building, room SLC 1.102. 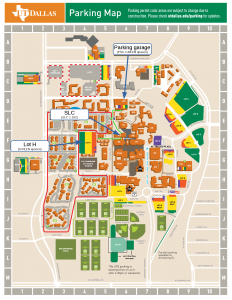 Attendees may park in any GREEN space on campus (see map), the closest GREEN parking is in Lot H. We will also email parking permits for the parking garage (PS3, north of SLC) to people who preregister for the event. At the clinic we expect to have time for some “hands on” exercises, and we will have a few laptops available for registered teams to use to try out the exercises. If you can, bring a USB flash drive with you to save copies of your work. Install PTC Creo 3.0 — available from http://www.ptc.com/communities/academic-program/k12/students/first/software. Follow the “Download software” links to get to the product registration page. After registering for the software, click “Standard Standalone Install” in the Step 2 section to get the instructions for downloading and installing your copy of PTC Creo 3.0. Note that the size of the software download is 4 gigabytes. Download the FTC TETRIX “kit of parts” library — available from http://apps.ptc.com/schools/FIRST/FTC_TETRIX_KOP-2015.zip . We will unzip this file as part of setting up the exercises. Have a three-button mouse or pointing device available — PTC Creo Parametric makes frequent use of the middle mouse button. On many mouse models the scroll wheel is also a middle mouse button. More details will be sent out to registered participants prior to the event. I hope your school year is starting off very well. This message will give you an overview of the plan for the FIRST Tech Challenge season in North Texas including the structure, a few dates, and some future year plans as well. As most of you know, US FIRST is moving the FTC competition structure from the previous format of qualifier competitions only to a format of league play. We had hoped to start large-scale implementation of leagues this season. 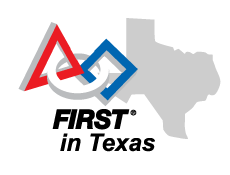 However, there is a state-level effort in Texas that is expected to have a big impact on teams and participation in FTC starting this year and this effort has changed our planning regarding league implementation. Therefore, for the 2015-2016 FTC season we in North Texas we will be using a blended format of both qualifiers and leagues. As the default, we will be continuing to implement FTC with first level qualifier tournaments that will have space for all teams to compete in. The Southwest Regional Championship at UT Arlington is scheduled for February 20, 2016. The qualifier tournaments are expected to be held in December and January. Dates and details will be given as they become available. Teams that compete in qualifiers will advance from a qualifier tournament to the Southwest Regional Championship. Roboplex.org is dedicated to furthering competitive robotics, especially in the North Texas area. The site is a collaborative workspace where robotics groups can share tips, events, guides, and other information. If you would like to be a contributor to the site, register for an account and email us at roboplex@roboplex.org to ask for authorship and editing privileges. FLYSET.org and affiliated FTC team 8565 (TechnicBots) are hosting an FTC team workshop to help local FTC teams get acquainted with the new Android Technology platform and create an environment for FTC teams to share and learn. The workshop is going to be held on August 29, just in time before the next season Challenge to be released on September 12. There will also be a station available in the afternoon where crimping tool and Anderson Connectors are provided for the teams to make their DC motor and legacy controller power wires compatible with Anderson connectors so they can be connected to the new motor controllers and power distribution module. Sponsored by FIRST in Texas and the Texas Workforce Commission. Are you looking for funding for your team? 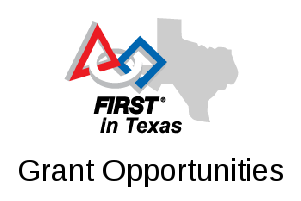 If you have a FIRST team in Texas, you should definitely apply for a grant from FIRST in Texas. FIRST in Texas is a foundation that channels grant funding from organizations to FIRST teams in Texas. The grants can often be in the hundreds or even thousands of dollars. The application process is quite simple — it’s an online form. Teams in all FIRST programs (FRC, FTC, FLL, and JrFLL) should apply. Apply by September 15 to be included in the first round of evaluations. This is the second of two UTD clinics focusing on programming for FLL; see the 2015 FLL Programming Clinics page for topics to be covered and the registration form. This clinic will be held at the University of Texas at Dallas in room SLC 1.102. If you attended the FLL Kickoff at UTD on Sep 26, it’s the same location. Attendees may park in any GREEN parking spot on campus without needing a parking permit. We recommend parking in either Lot H or the Parking Structure (PS3). The easiest way to get to Lot H is from Waterview Pkwy on the west side of campus; once parked, follow the sidewalk just north of the Arts and Humanities building, cross Rutford Avenue, and the SLC building will be on your left. To get to PS3, take Synergy Park Blvd on the north side of campus, then turn south onto Rutford Ave and then east onto Loop Road. For those people attending both the morning (Beginning) and afternoon (Advanced) programming clinics at UT-Dallas, there are a few on-campus dining options available. See the available locations, hours, and menus. Note that only certain on-campus locations are open on Saturdays. You can of course go off-campus for lunch as well — the closest off-campus restaurants tend to be on Campbell Road either just west (Coit) or east (U.S. 75) of the UTD campus. This is the first of two UTD clinics focusing on programming for FLL; see the 2015 FLL Programming Clinics page for topics to be covered and the registration form. The FIRST Tech Challenge will be revealing the details of this year’s game on September 12, 2015 at 12:00p EDT (11:00a CDT).